Not since the advent of the television ad in 1941 has the potential for new ad formats been so great. The emergence of digital platforms is enabling marketers to experiment with a number of new ad formats, each of which could revolutionize marketing as we know it. Throughout 2014 we are highlighting the most effective of the techniques being broadly adopted. In many ways culture is the lifeblood of advertising. By drawing upon cultural cues advertisers can more easily convey emotional and informational content to consumers. And with the rapidly evolving demographics within the United States, making advertising campaigns inclusive has become a high priority. But there is also a potential danger in using culturally charged content. If a cultural reference within mass media does not resonate at least somewhat broadly, the advertising will fall flat or, in extreme cases, may even alienate members of the general audience and lead to social media backlash. So how can an advertiser reap the reward of either culturally targeted or inclusive advertising without the risk? The secret is a little talked about psychological principle called cultural congruence. Simply put, people are generally most comfortable in receiving and most receptive to messages within the context of their own culture. This has major ramifications for the choices in executional techniques, selling propositions, and casting within the advertising. To help advertisers navigate around obstacles to these types of campaigns, MSW-ARS Research has released a white paper on the topic, Cultural Congruence and Advertising Effectiveness. Below are two example best practices from the paper. 1. Do not assume that advertising will perform similarly across cultural groups. 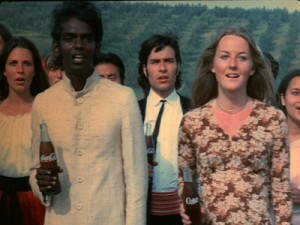 For many years it was suggested that advertising effectiveness did not vary much among cultural groups. This was based on lack of statistical significance in the mean values between subgroups exposed to the same advertising. But averages can be deceiving. The table below shows the average response by African American and Caucasian consumers to over two thousand of the same pieces of advertising. While the mean scores are not substantially different, the variation in scores between the groups is significant at the 99% confidence level. In other words, there are differences in which ads performed well and performed poorly among these groups. 2. When attempting to transfer ads between cultural groups, adaptations should be made to ensure the selling proposition resonates with the new group. Cultural congruence can play a powerful role in the motivating power of a selling proposition. If the insight underlying the selling proposition relies on a cultural association, it will not easily transfer to another group. Or even if the insight is relevant to multiple groups, it may be more difficult to deploy for some groups versus others. This can have a substantial impact on sales effectiveness. For example, a meta-analysis of thirty-eight US Hispanic targeted ads representing twenty product categories shows how advertising effectiveness varies based on the customization of the selling proposition. 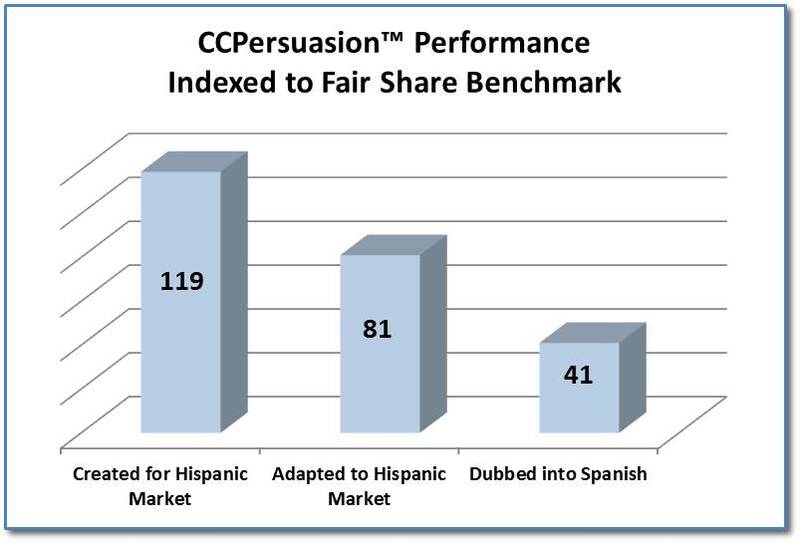 Ads were segmented by whether they were specifically created for the Hispanic market (thus drawing upon market specific insights), general market advertising adapted to the Hispanic market (changing elements to make insights more relevant to the Hispanic market), or general market advertising simply dubbed into Spanish. It was found that ads created specifically for the Hispanic market were forty percent more persuasive than those simply adapted for this market and three times as effective as ads dubbed into Spanish. This same principle holds true for inclusive ads but instead of adapting the selling proposition to each group, a universal need or desire is drawn upon to create a selling proposition that transcends groups. As an example this ad from Chevrolet draws upon the universal desire for safety for one’s family. Additional learnings, best practices, and case studies are included in the full white paper. To receive a complimentary copy of our full Cultural Congruence White Paper, please contact your MSW●ARS representative.